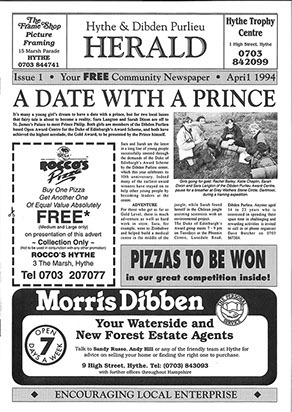 Originally launched as the Hythe & Dibden Purlieu Herald in 1994 by founder Janice Taylor, with a print run of just 1,500 per month, the magazine quickly grew in popularity and today is recognised as a unique and well respected publication. The Herald - Your Community Magazine is a free magazine distributing 10,500 copies every three weeks and has a wide distribution footprint covering the whole of Hythe and the Waterside, Totton, Romsey, The Wellows, North Baddesley, the New Forest communities of Lyndhurst, Brockenhurst, Beaulieu, Minstead, East Boldre and Pilley. 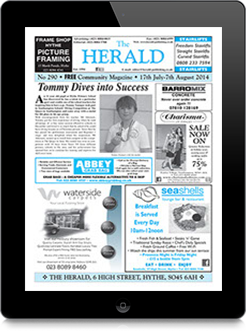 Our mission is to encourage local enterprise, whether it be small businesses, voluntary organisations, community projects or attractions, events and places to go, The Herald prides itself on offering free interesting and easy-to-read news items about local people, businesses and events, topical subjects and general information editorial, alongside paid adverts which are affordable to all. Our unique three weekly publication means the advertisements and editorial benefit from the extended shelf life and longevity that a weekly or daily publication simply cannot offer. Every three weeks, local residents pick up their free copy of The Herald from local shops, pubs, garages, community centres and other easily accessible places. We carefully monitor our distribution and by keeping it ‘in-house’ we are confident that copies are picked up and read, there are minimal returns and many returning advertisers, this means we know that people pick up, read and act on the information they see in The Herald – Your Community Magazine. The Herald produces the annual Visit Hythe leaflet which includes a map of the village, a listing of the cruise liners docking throughout the summer and advertisements from shops, cafes and places to stay in Hythe and the local area. The leaflet is distributed to places to stay, attractions, businesses and TICs within an hour’s drive of the village. Click here to view the current leaflet. The Herald stocks a range of local history and interest books focussing on the New Forest, Southampton and surrounding areas, along with titles written by local authors; including fiction, non-fiction, children’s books, memoirs and poetry. The Herald is pleased offer a unique range of souvenirs depicting Hythe, The Promenade and the famous Hythe Ferry. Included in the range is postcards, prints, a magnet, mug, coaster, a keyring and cotton shopping bags, all sourced and printed in the U.K. Our Souvenirs can also be purchased from the Hythe Ferry Office. The Herald offers A4 and A3 photocopying including colour. A4 and A3 laminating and also a faxing service. These services are available 9am-3pm Monday to Friday. Located right opposite the entrance to Hythe Pier and Ferry and adjacent to the main village bus stop and taxi rank, The Herald office has a wide range of information for both visitors and residents including bus timetables, attractions and places to go, maps, leaflets and information sheets about the local area. When the office is closed, information can be found at the Hythe Ferry entrance. 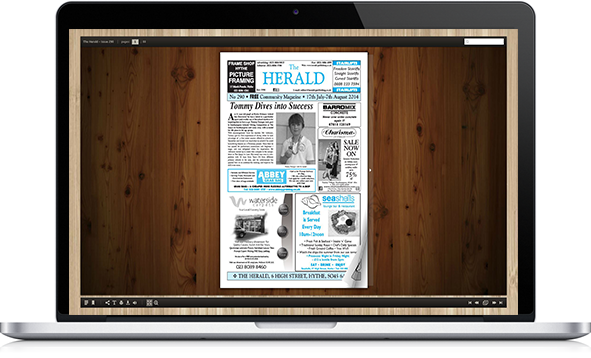 If you can’t pick up a copy of the latest Herald from one of the distribution points, you can read the online issue on any device, which features a search engine and links to websites, email addresses and social media pages. We are a small, happy team here at The Herald. We pride ourselves in working closely with all advertisers and contributors to ensure that they get the best from their advertising and publicity. 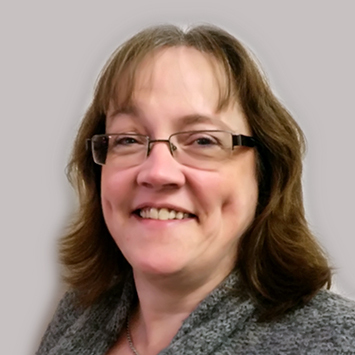 Ruth has extensive journalistic experience when it comes to writing community news and particularly enjoys creating special features on local people, places and events. She enjoys meeting lots of new people and sharing their enthusiasm about what’s happening in the local area and welcomes invites to visit or review. Ruth is happy to speak to anyone who would like to pop in for a chat and contact her by phone or email. 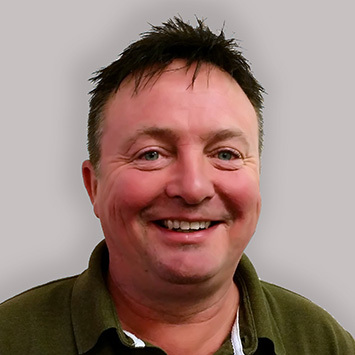 Lou has worked in Local Media Advertising for 20 years and has a wealth of knowledge when it comes to brand awareness, marketing strategies, local economic trends and copywriting and can help businesses of all shapes and sizes get the most from their advertising budget. In choosing The Herald as your advertising platform, you will benefit from value for money advertising and comprehensive coverage right across our circulation area. Paula has set the pages of every single issue of The Herald, which is quite a feat in itself, and has over 30 years’ experience in the publishing industry. She can also create your advertising artwork for you. 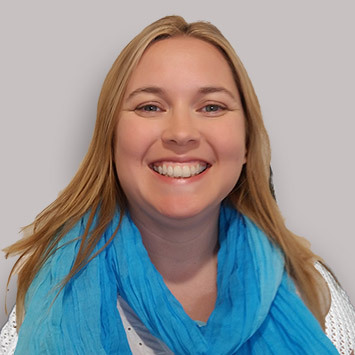 With an excellent knowledge of local businesses, Paula also handles all the company invoicing and accounts. With many years’ experience in retail, printing, distribution and corporate events, James is the face of The Herald out in the community, delivering the latest issue of The Herald to all of our Distribution Points every three weeks. By keeping distribution in-house we can ensure that every copy of The Herald goes to the right place and is visible so readers can see it and pick it up, giving the maximum impact for our advertisers at all times. Max is our newest recruit and brings a unique set of skills to the team. He happily provides a hoovering and recycling service, specialising in crusts and crumbs and is an expert in reducing any paper or cardboard to manageable pieces in a matter of minutes. Max also gives a friendly welcome to all our visitors in the office and can often be seen visiting his many friends in the village. This depends on the size of advert you would like. Click here to see our Media Pack. Do you give discounts for block advertising bookings? No, everyone pays the same low advertising rate, which gives even the smallest of budgets the opportunity to advertise. Can you create an advert for me? We can produce advertisement artwork for you using any logos, images and copy that you supply, at no extra cost. If you are unsure about what size or what to put into your advertisement, we would be more than happy to create something for you. Of course. Please check the dimensions of the advertisement with us, but otherwise we accept artwork as a jpg, tif, pdf or eps. Don’t forget advertising will be in mono. Can I choose where my advertisement goes in the magazine? We do our best to accommodate advertiser’s requirements, but cannot always guarantee specific pages. Regular features run in every issue and may offer advertisers with specific businesses a more appropriate location within the magazine. We do offer new advertisers and businesses some free editorial to support their first advertisement and to provide readers with more information that would appear in an advertisement. Around 200-250 words is acceptable. As The Herald relies on paid advertising, we cannot guarantee editorial space for all advertisers but we do try our best to accommodate all requests. Click here to see our Editorial Dates. 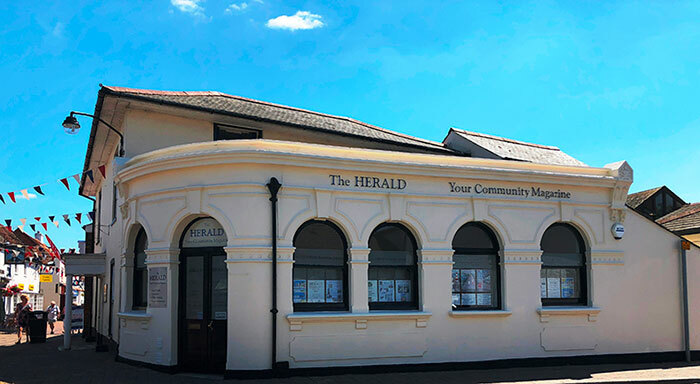 The Herald office and shop on the corner of the High Street and Prospect Place (opposite Hythe Ferry) is open from 9am until 3pm Monday to Friday. The office is staffed until 5pm for telephone enquiries only. "We have a regular front page advert and editorial spot in The Herald and we find it really works for promoting our designers, collections and any events or sales we have throughout the year." Thank you Herald Team for all the support given over many years to the activities in which I have been involved - Dibden Purlieu Gardening Association, Waterside Art Group and, of course our own Open Garden for The National Gardens Scheme. Often, when people turn up at events linked to any of the activities above, they tell me that they “read it in The Herald”! Trading in “good news”, never “bad news” like most journalism, The Herald provides masses of opportunities to buy goods and services, and participate in activities “from the cradle to the grave - and everything in between!” Anybody on the Waterside and its environs who complains about “nothing to do” can’t be looking very hard! Copyright © 2009-2018 Silverock Enterprises Ltd. All Rights Reserved.